JoAnn Kuchera-Morin demos for TED the AlloSphere, a new way to see, hear and interpret scientific data. Dive into the brain, feel electron spin, hear the music of the elements … and detect previously unseen patterns that could lead to new discoveries. Could there be water on the moon? NASA hopes to find out this Thursday with its exciting LCROSS mission. In an unprecedented scientific endeavor – and what may be one of the coolest space missions ever – NASA is preparing to fly a rocket booster into the moon, triggering a six-mile-high explosion that scientists hope will confirm the presence of water. 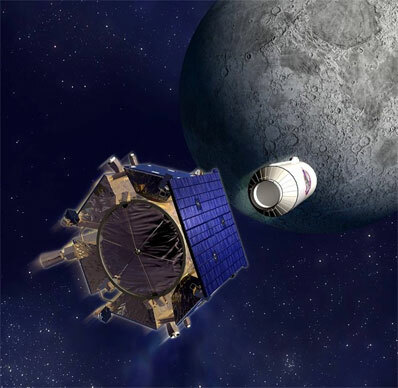 The four-month mission of the Lunar Crater Observation and Sensing Satellite (LCROSS), which will be directed from NASA’s Ames Research Center at Moffett Field, is to discover whether water is frozen in the perpetual darkness of craters near the moon’s south pole. As a potential source of oxygen for life support and hydrogen for rocket fuel, that water would be a tremendous boost to NASA’s plans to restart human exploration of the moon. But the launch is scheduled for Thursday at Cape Canaveral, Fla. It was delayed a day to allow repairs to the space shuttle. I often ask business leaders, “Why did you lose sleep last night? They reply that they worry about everything from “meeting quarterly targets” to “retaining good people” but there is a much bigger problem behind all of these. It’s the quality of the THINKING across their enterprise!